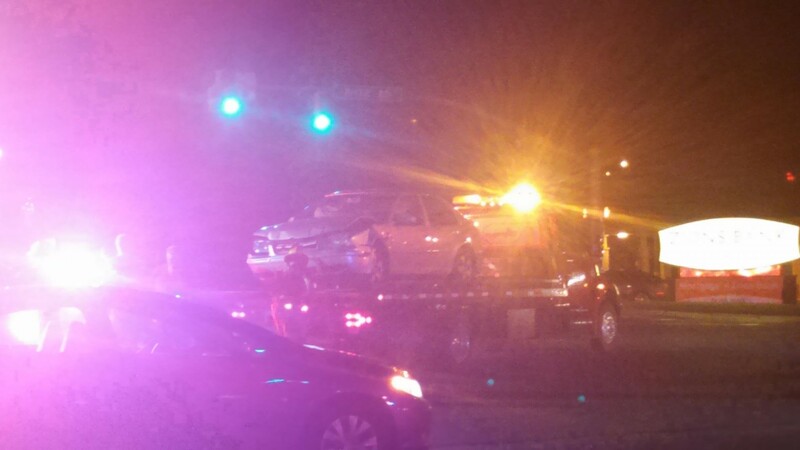 ST. GEORGE – An accident occurred at the intersection of River Road and 700 South in St. George Tuesday night that shut down a portion of the intersection for about 45 minutes. At about 9:44 p.m., the St. George Communications Center began receiving reports of an accident on River Road. St. George Police, St. George Fire and Gold Cross Ambulance responded to the scene, where a passenger car and a pickup truck had collided. “Looks like somebody was injured but it doesn’t sound like any bad injuries, anything life-threatening,” St. George Police Sgt. Tyler Cowan said. Traffic was impeded for about 45 minutes while the scene was cleaned up. During this time, traffic was able to move slowly through the intersection, but no left-hand turns could be made from 700 South onto River Road. As of publication time, additional details about the accident, including whether any citations were given or whether anyone had to be transported due to injuries, were not available. Look if your going to be cool enough to drive a Volkswagen, then you should be cool enough to not text and drive! That Bi- almost killed my best friend.